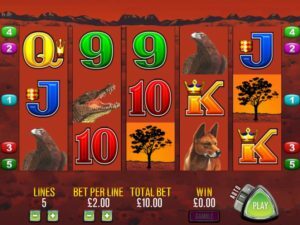 The Australian pokies games developer Aristocrat, brings players yet another visually appealing and fast-paced slot game that is inspired by the wildlife of the Australian outback. As an entertaining and high volatility game, Big Red pokie machine allows players to multiply their winnings through a series of free games. The high volatility nature of the game allows you to win loads of cash, but also demands some foresight into how you place your bets. Big Red has enjoyed great success among Australian pokie players, but is enjoyed just as much in other parts of the world as well. The Australian outback setting is brought to life by the symbols specific to that region. Apart from kangaroos, players will discover crocodiles, eagles, boars, dingoes, trees and other imagery specific to the Australian outback. All these symbols on the spinning reels of the Big Red add to the visual appeal of the game, making it one of the flagship games of Australian themed pokies. Once the reels start spinning and the sound effects come into play, this pokie offers an immersive gaming experience that only seems to increase as bonuses and winnings keep on multiplying. Players can have a go either at the real money version or the play for free version of this game, as both are available at Aristocrat powered online casinos. Big Red Slot is also recognised as the pokie that offers one of the highest Return to Player percentage. The combination between a 97.04% payout and large maximum winnings allows players to up their chances to win. This 5-reel video slot with 3 symbols on each reel makes for a fast-paced and attention-grabbing gameplay even though it’s a fairly simple game. The minimum bet is 20 credits and the minimum denomination is 1 cent, making this game fall into the larger category of penny slots. The wilds, multipliers and free spins significantly increase your winnings despite the small amount of paylines (only 5) featured by Big Red. As with any slots games, bonus rounds and free spins add a little more spice to the game, since it offers players the opportunity to increase their winnings. Big Red also features the usual wild wins, scatter wins and free spins specific to most slot games. The Kangaroo is the Wild Symbol in this game, while the Tree is the scatter symbol. Landing one or more Kangaroos on winning paylines will trigger a free spins round that grants players 5 free spins and a 2x multiplier. 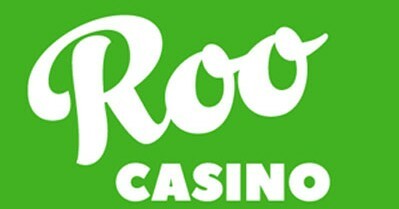 This free spins round can be re-triggered with scatters landing anywhere on the reels during the free spins. The free spins tally can amount up to 255 spins, which could potentially award players handsome sums of money. If scatters appear outside the confines of the free spins feature, they award credits multiplied by the line bet only. Australian themed pokies fans will find in this Aristocrat slot an enjoyable and engaging game that has the potential of becoming extremely lucrative for some lucky players.